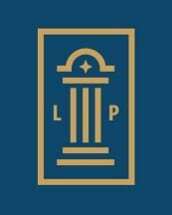 Offering dedicated business and commercial law services, our team at the law firm of London & Paris, LLP, proudly serves clients throughout the Eugene area in Oregon. We handle a range of complex matters on behalf of clients in the cannabis, science and technology, and other industries, including those involving business organizations, administration issues, franchising, intellectual property, trademarks, securities and taxes. To best serve our clients, our law firm offers free initial consultations, and we accept credit cards. We understand that each client is unique in their needs and legal objectives. Our team advises clients based on their specific circumstances and goals. Standing by their side through litigation and, if necessary, appeals, we craft plans with our clients that are aimed at achieving efficient and effective resolutions to their legal problems. Our attorneys also counsel clients on potential issues and compliance matters, taking a proactive approach toward preventing such problems from coming up. Our law firm knows that business and real estate matters often go hand-in-hand, and we provide focused real estate counsel. Our attorneys aid clients with a range of complex matters, including those involving issues such as land use and zoning, foreclosures and alternatives to foreclosure, and landlord-tenant disputes. Serving as our clients' advocates through the various stages of their lives, we also aid people with civil rights, legal malpractice, personal injury, family law and estate planning matters. Whether seeking compensation on their behalf for injuries or a wrongful death suffered due to a car accident or otherwise as a result of another's negligence, or drafting wills and trusts to ensure their needs and those of their families are provided for in the event of incapacity or death, our dedicated law firm team at London & Paris, LLP, offers the customized guidance and personal attention our clients deserve.